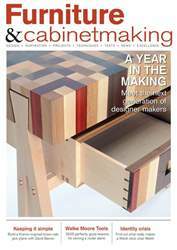 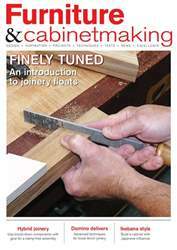 In issue 240 of Furniture & Cabinetmaking we have lots for you to enjoy. 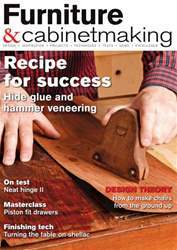 In our ‘Projects & Techniques’ section David Barron tapers his technique to achieve a perfect walnut cabinet; Oliver Sparks explains the possible applications for a specialist tool; Will Neptune explains the geometry behind the joinery for classic chair construction; Geoffrey Laycock tests the new version of the Neat Hinge; the Editor puts a new spin on black shellac; Mark Harrell examines the quality and value of hammer-setting; the Editor continues with the Rosewood chiffonier side; and Anne Briggs Bohnett emphasises the importance of using truly square stock. 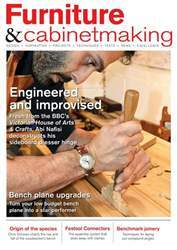 In ‘Design & Inspiration’ we go In the workshop with Tim Smith; look into The Furniture Makers’ Company showcase; John Lloyd asks if the relentless rise of CNC is good for our sanity; and we look at ‘The Lincoln Chair’. 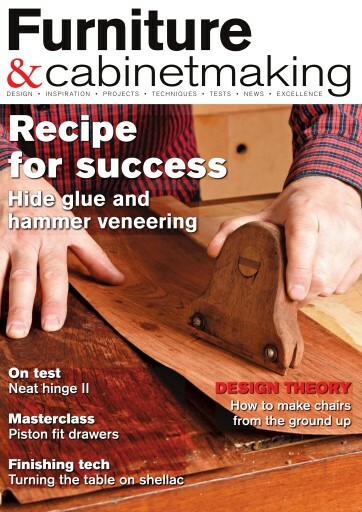 All this and more in issue 240 of Furniture & Cabinetmaking!